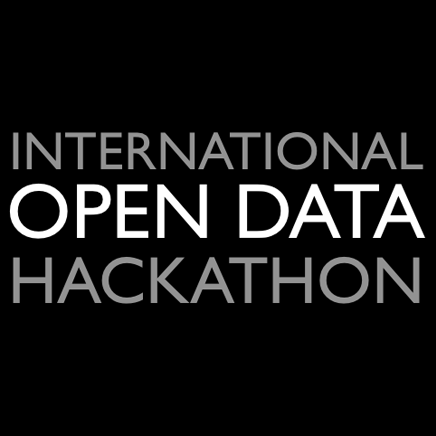 Well, for us it’s more an open afternoon, but there are Open Data activities happening all over the world as part of open data day. 16:00 – And we’re done – Thanks to everyone who was involved and to the Guild Coworking hub for looking after us. 15:50 – Drop-in from Bath University, Business & Management department, want to know about open data from that perspective – Really great opportunity to think about the business implications, it’s not just about apps and coding! 15:45 – Back to crowd-sourcing. Can we do walks through the city to help collect data? E.g. collect the inscriptions on benches. Or identify wikipedia pages needing attention/photos, or confirm addresses for OpenAddresses? 15:36 – Discussing how to use data store metadata to monitor whether datasets remain fresh and whether they are being published to their agreed schedules. 15:15 – Great conversations with Centre of Excellence for Information Sharing about using local data to solve local problems. Thanks for coming down to visit us today! 14:30 – Lots of interest in exploring Bath-Bristol collaborations around open data. Joint hack days, work on common technical standards, evangelism of benefits of open data to local organisations. Joined up thinking at the city level can help standardise and improve the quality of open data across the country. Some interesting health data projects starting in the south west too. 14:15 – The conversation has turned to crowd-sourcing. Seems to be the emerging debate. 14:00 – Showing off the Companies House API as a way to align local government spending data. 13:40 – Showing people how we’re using a mixture of tools, github, trello, slack to open up data. Our trello board can be found here. 13:30 – Talk of transport data – the difficult balance of commercial value and open data. 12:50 – Getting into the nuts and bolts of Bath:Hacked. Our curators nights happen every six weeks or so and are critical to keeping everything going. We’re working with the Council at the moment, but really want to get more information from other sources. It’s good, we don’t have any infrastructure to worry about; just the data. 12:35 – We’re going to be doing a demo of our datastore in about 10 mins!! 12:25 -Straight into discussing the impacts of the Ordnance Survey announcements this week.Should be possible to simplify our data licensing and also enrich some of our datasets with UPRNs, which is great news. Excited to get a consistent reference number, but associated co-ordinates would be nice too! 12:01 – And we’re open – come along and say hello! 10:46 – We love it when open data makes a real difference. Both Bath Mums and Dodify have come up with some straightforward ways of seeing where there are free car parking spaces in Bath. This helps avoid wasted journeys and on days like today, with shopping, Bath Rugby Playing at home and an international open data day to contend with it can really make life easier for people! 10:07 – This afternoon we’re running a drop in session for people to find out more about Open Data. This is part of http://opendataday.org/. Throughout the afternoon we’ll be blogging about what we’ve learnt and sharing the experiences of some of the people involved.